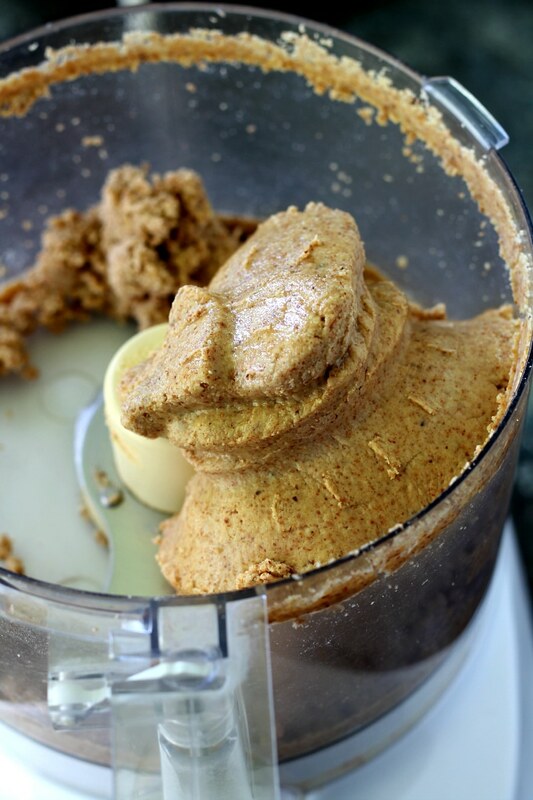 This recipe for an easy homemade Maple Cinnamon Almond Butter just might be the world’s BEST almond butter recipe. This stuff is addicting, y’all! I dare you to not eat this yummy stuff by the spoonfuls, straight out of the jar!! 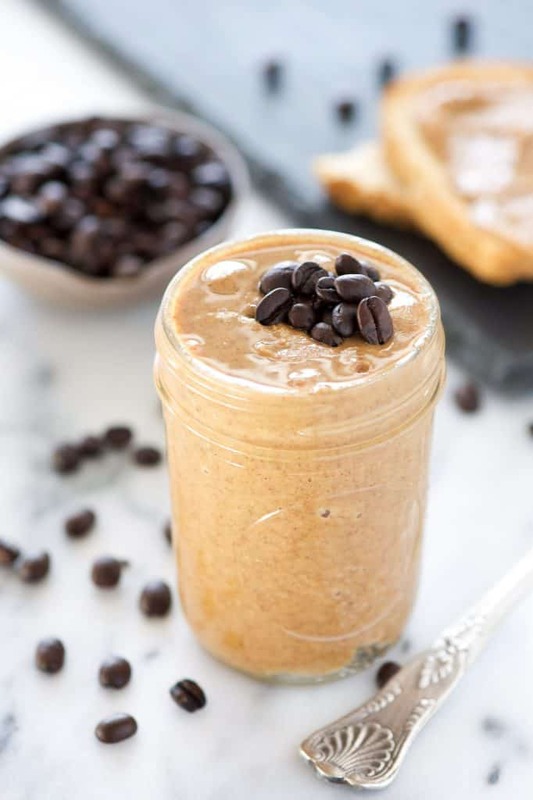 After whipping up and tasting this irresistible Maple Cinnamon Almond Butter, you’ll never need or want to buy almond butter again. It’s pretty much life changing- no more paying out the wazoo for any kind of flavoring, no more having to stir the oil at the top of the jar when you open it (I hate that!) and no more having to worry about added sugars and other questionable ingredients in your almond butter. 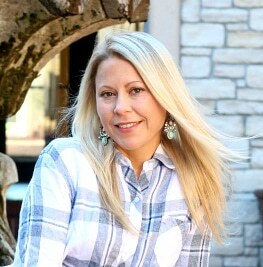 My favorite almond type to use for almond-butter-making is Blue Diamond Whole Natural Almonds. They’re just plain, tasty, raw almonds with no added ingredients. 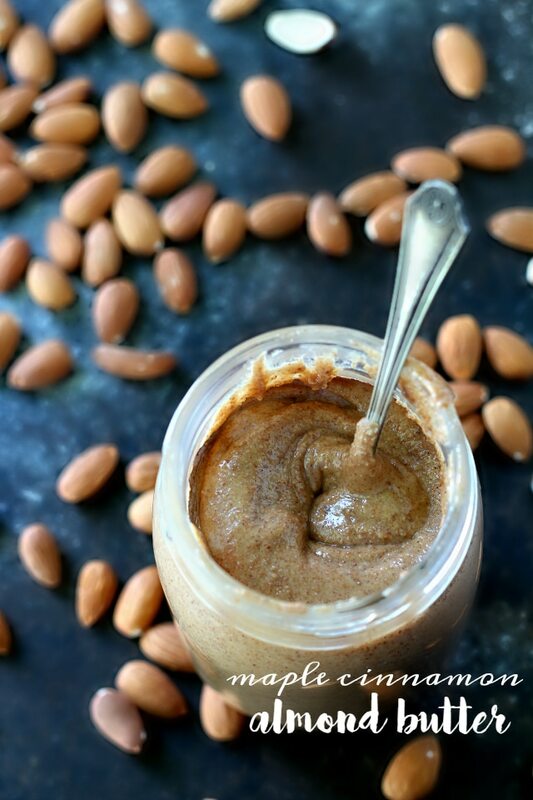 These almonds work perfectly in my Maple Cinnamon Almond Butter! 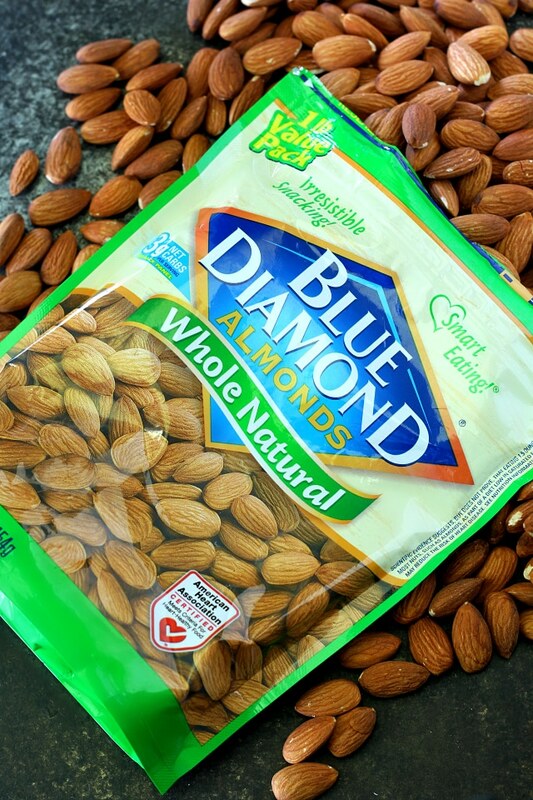 Blue Diamond Almonds are also a fabulous way to fuel your next workout. Some of my favorite pre-workout snacks and just simply fuel for the day are a handful of almonds and an apple, or cinnamon raisin Ezekiel bread slathered with a good amount of Maple Cinnamon Almond Butter, oh and the best is a bowl full of banana whipped oats with a spoonful of almond butter. Blue Diamond Almonds and USA Swimming both understand what is needed to fuel your body to be your best, which is why Blue Diamond Almonds is the Official Snack Nut of USA Swimming. Wahoo! Who else is getting super excited to see USA Swimming do their thing in August? First things first. 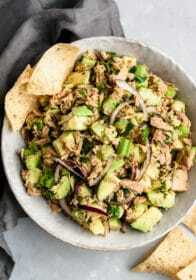 Invest in a good food processor. 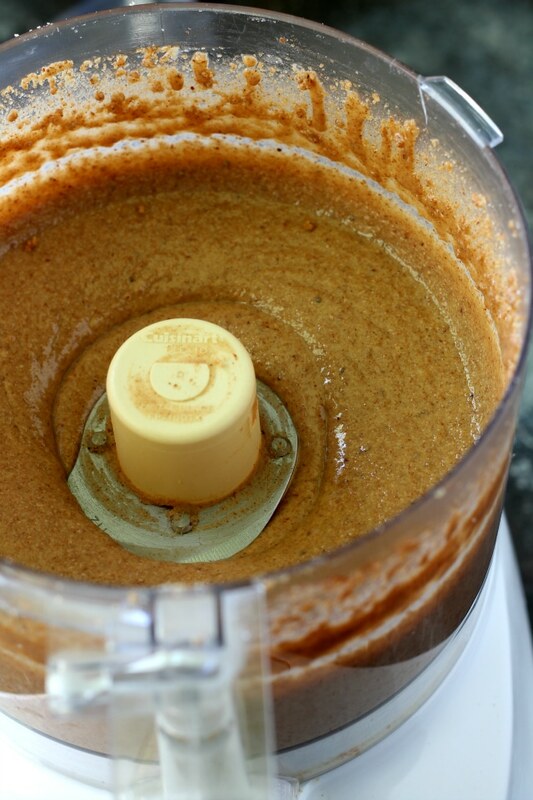 Mine was pretty inexpensive and I use it constantly for making maple cinnamon almond butter, salsa, hummus, cauliflower crust pizza and much more. It’s a Cuisinart, works like a charm and has been chugging along for about 7 years. Whirl, whirl, whirl and swirl that butta! Yes, it takes awhile to achieve the right consistency, but it’s so worth it. Don’t worry, your food processor will probably get pretty hot and that’s totally normal. 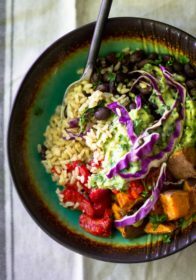 While your food processor is working away, you can be washing dishes, meal planning, making lunch, reading the most recent Kim’s Cravings blog post. Just giving you some ideas! 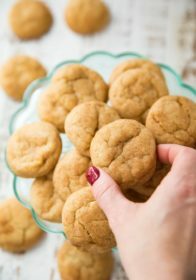 Once you’ve achieved a pretty good buttery consistency, add in the cinnamon, maple syrup and salt. No flavored corn syrup or sugar going into this baby! Just be sure to use 100% real maple syrup. VOILA! 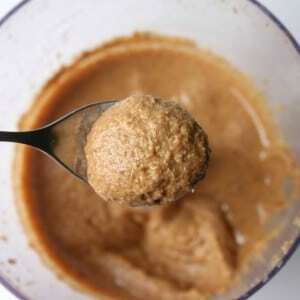 Beautiful and thick Maple Cinnamon Almond Butter with the perfect drippiness. Let this be your warning- this stuff is dangerous and it becomes very hard to put the spoon down once you get started. It’s totally the perfect combo of sweet and salty. Friends, I think I’m in love. 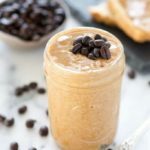 Easy homemade Maple Cinnamon Almond Butter- I dare you to not eat this yummy stuff by the spoonfuls, straight out of the jar!! 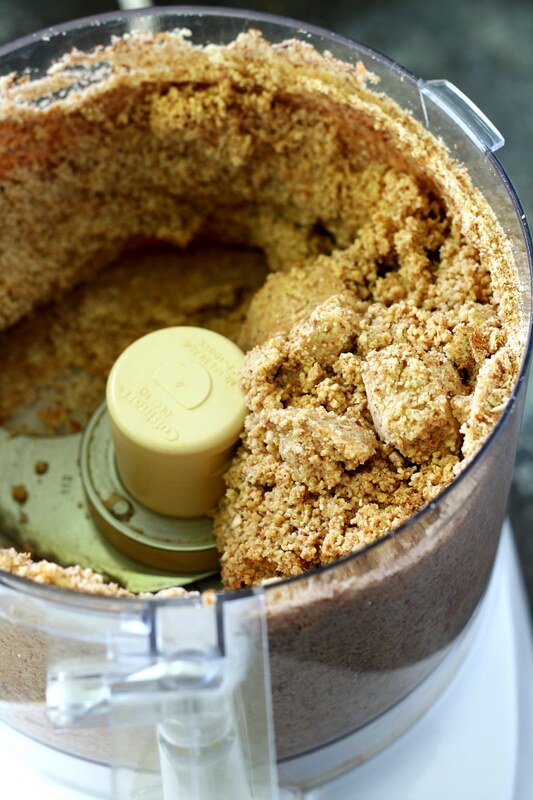 Add almonds to the bowl of a food processor or high speed blender. 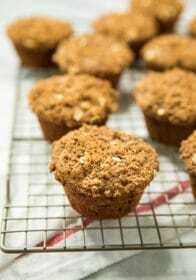 Blend at high speed until almonds break down and become smooth and creamy. This will take about 10-15 minutes. Scrap sides of the bowl and add cinnamon, maple syrup and salt and continue to blend until fully combined and desired consistency is achieved. 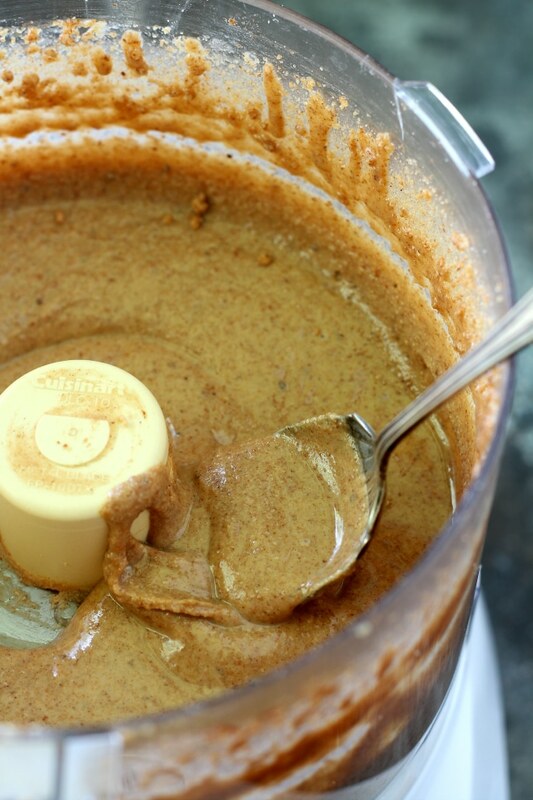 The longer the almond butter is blended the creamier and drippier it becomes. 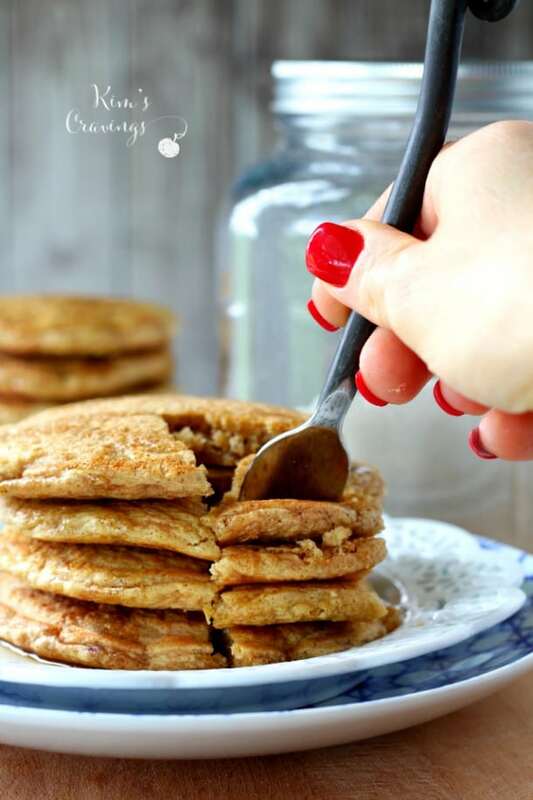 I like my almond butter thin, so I can drizzle it over pancakes and other foods. Mine usually takes about 25 minutes. 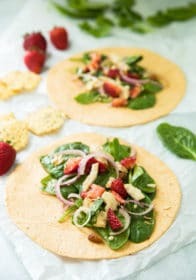 Also feel free to add 1 tablespoon of melted coconut oil or oil of your choice to achieve a thinner consistency quicker. 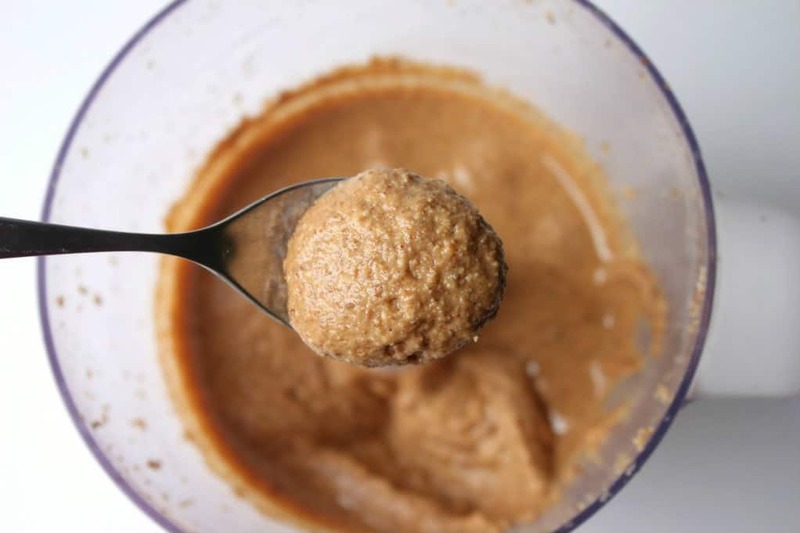 If your almond butter becomes thinner than what you prefer, pop it in the fridge. PIN IT! You’re going to want to save this and let your friends in on the deliciousness! 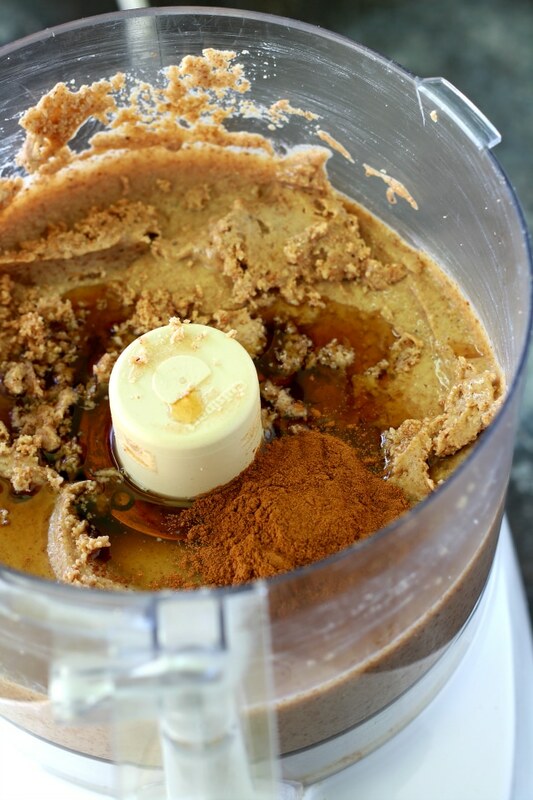 Love making your own maple cinnamon almond butter? You’ll love these other flavor ideas! 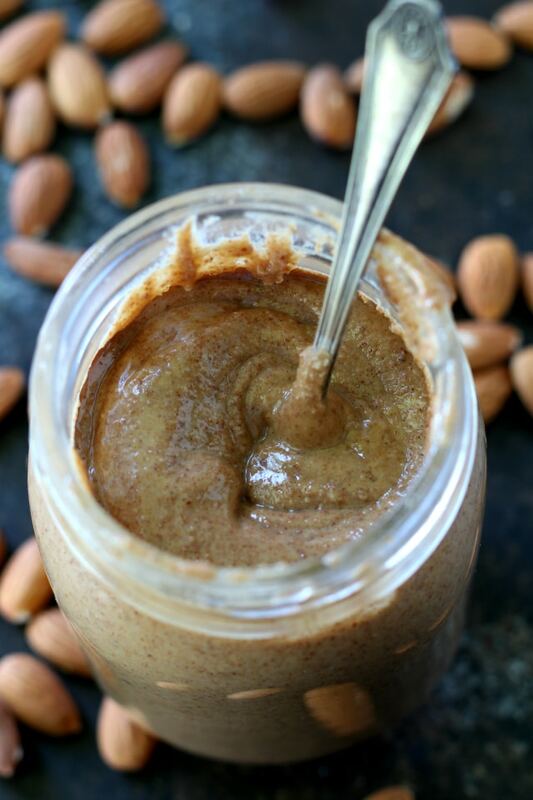 If you’re an almond butter fan, what’s your favorite store-bought brand and what’s your favorite flavor? 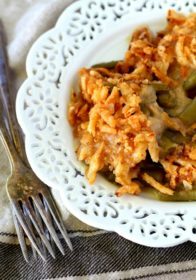 Have you ever tried making your own? 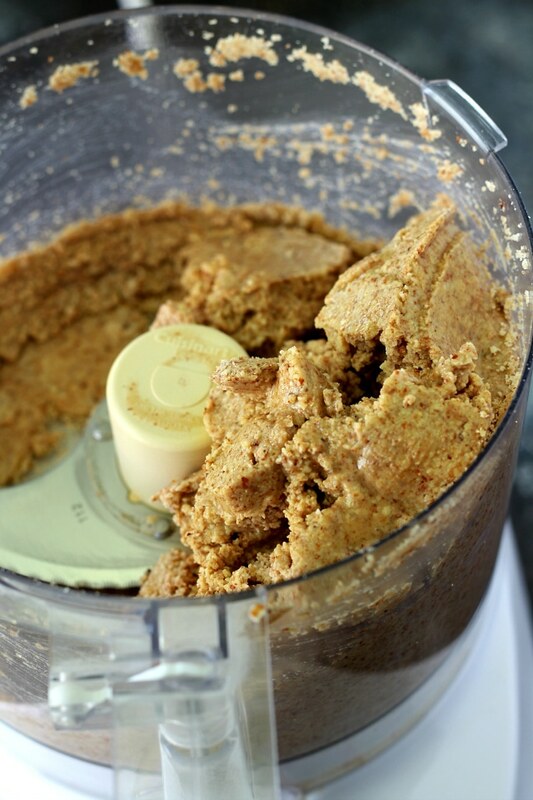 Now that I’ve moved I can start making nut butters again yay! I need to get on that. 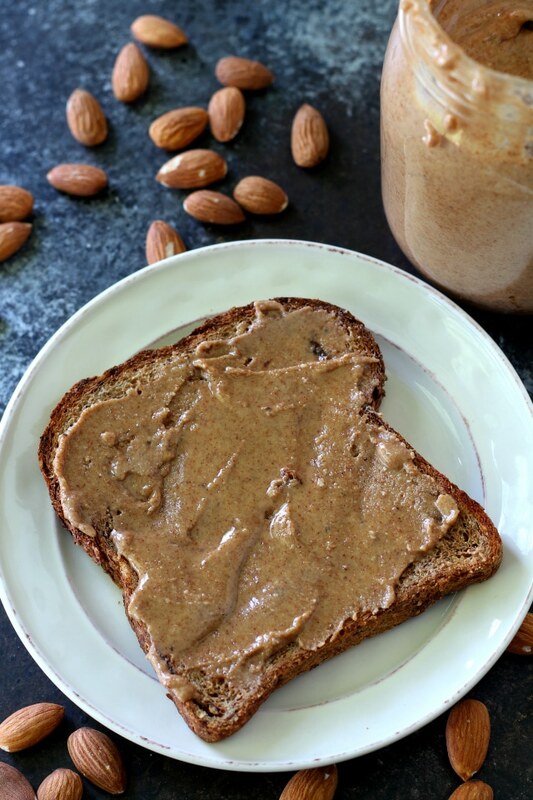 Almond butter is def on my list as one I need to make!